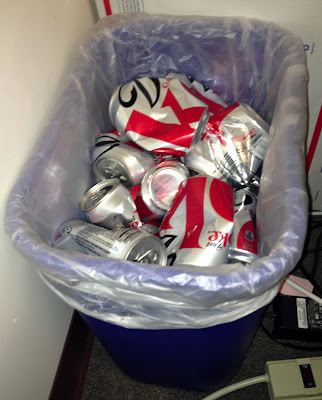 In college I gave up caffeinated beverages for Lent. This was inspired by my ability to drink Mountain Dew and go straight to bed. The first three days I had a horrendous headache, but after that I began to feel a lot better. No way am I giving up coffee now. This year I decided prayer and stopping swearing. The first is going pretty well. Don't ask about the second. Our daughter goes to Catholic preschool and she is extremely confused by the fact that I don't pray or do the sign of the cross at dinner with my in-laws. I foresee some really interesting conversations ahead. Good luck on kicking the diet coke habit. Certainly you can find another source of caffeine without cheating. Maybe tea?